This is a Stunning and Large Carstens Tonnieshof vase, West Germany circa 1970. A Fantastic outlandish, prehistoric / space age design by Dieter Peter, part of the high end ‘Luxus’ range. The bulbous slab of a body is topped with a small decorative handle and neck, a statement piece, not really intended as a practical display piece for flowers! 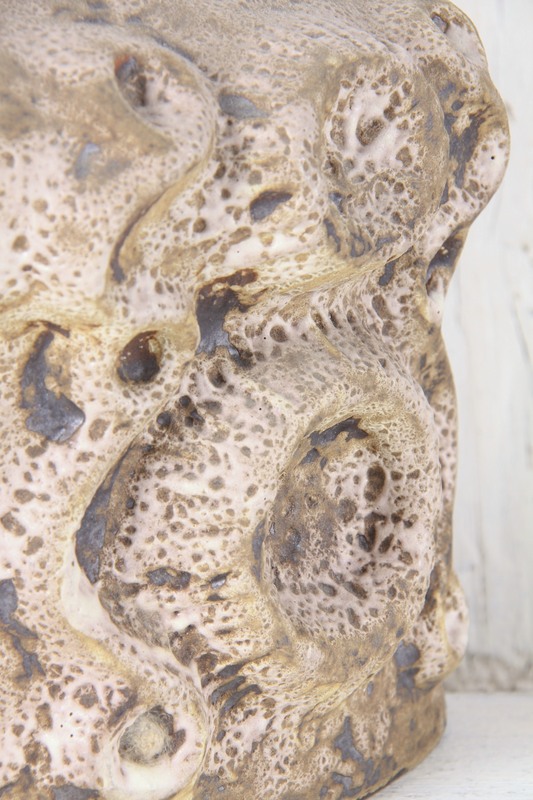 The body has a contoured surface resembling mooncraters, accentuated by the rough pumice-like glazes, very sculptural and complex, influenced by studio pottery during the era, with its influences ranging from the organic and natural to the prehistoric and space age. 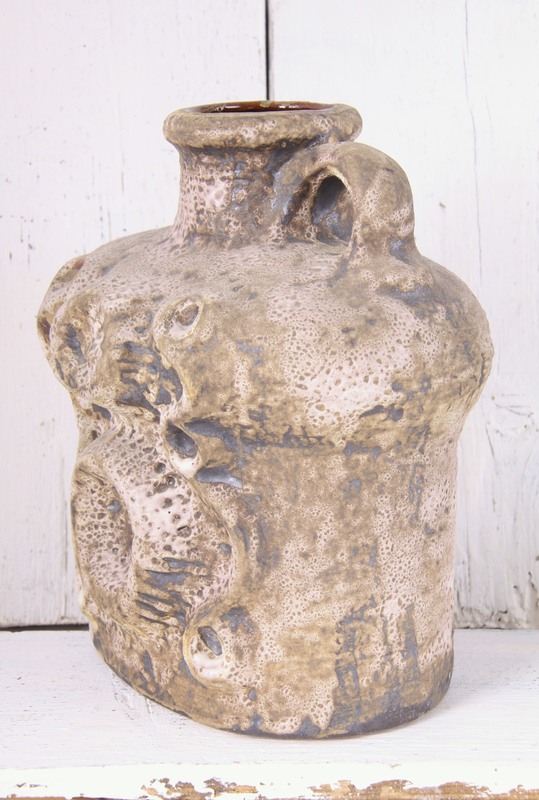 Would be Great as part of a collection of West German / Fat Lava / European Art Pottery, and would make a fantastic addition to any retro, vintage, 60’s, 70’s, mid century, modernist, space age, minimal or contemporary interior. 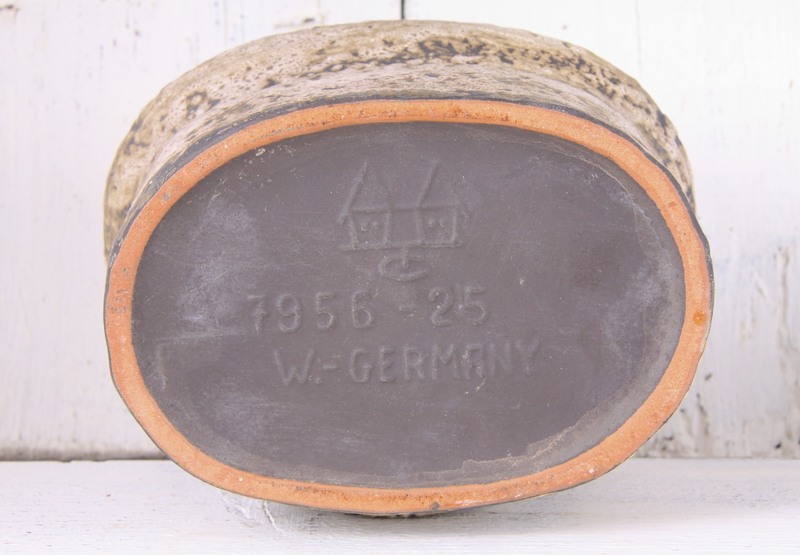 Marked to the base with the Carstens logo, 7956-25 W.-GERMANY. Measures 26 x 23 x 16cm / 10 x 9 x 6.25in.